Ruby red wine with garnet. Intense, ample, rich and ethereal, with hints of blackberry, plum, mediterranean, ripe fruit and leather. Warm, rich, generous and lively, with evolved and complex tones, with flavors of almonds and black currants. 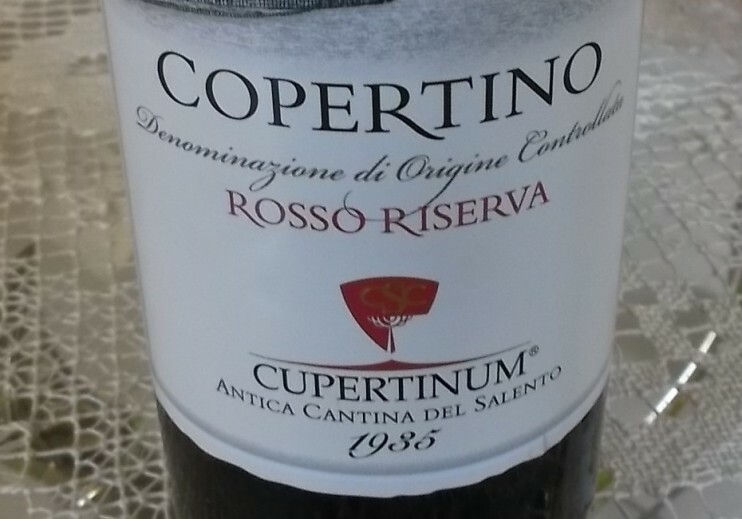 The year 1935 represents a milestone in the history of Salento’s enological economy: thirty-six wine-growers from the area formed the wine growers’ cooperative of Copertino. Their goal was and still is to deal directly with the vinification of their grapes and the marketing of their wines. Another ambition of the founders was to enhance cooperation, setting aside the individualism that characterized the area. Today there are about 350 tenants who annually supply their harvest to the cooperative. The plots, where the winegrowers skillfully cultivate their vineyards, extend throughout the picturesque landscape around Copertino and the neighboring municipalities. About 400 hectares are cultivated as grape trees and they spread over different areas with their own name and unique soil and climate.